“Omigod – he’s singing in English!” That was the first thing I said as soon as I put Go on. It was so weird to hear someone I had always heard singing in Icelandic busting out his English skills. This album is really uplifting, catchy, and pretty. Much less romantic and arty sounding than Sigur Ros – you can actually sing along with it. 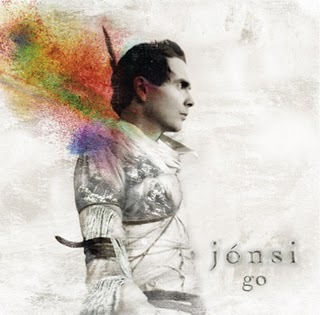 Jonsi did a great job at Coachella this year. He was in the top 3 performances I saw. He and the band were totally into it and they were entertaining to watch. Plus Jonsi had his fashion diva going on.